What can I do with Editor.Pho.to? Want to be able to edit your photos online, for free and without having to learn complicated interfaces? Then Editor.Pho.to is what you are looking for! This online image editor lets you fix and enhance your digital pictures in a smooth and effective way. Basic operations like photo cropping and rotation are the ones that you need most often. Thus, we made them extremely easy-to-use, intuitive and fast. Use the ‘Rotate’ tool to rotate a picture 90 degrees clockwise or counterclockwise, flip it vertically or horizontally or straighten it. 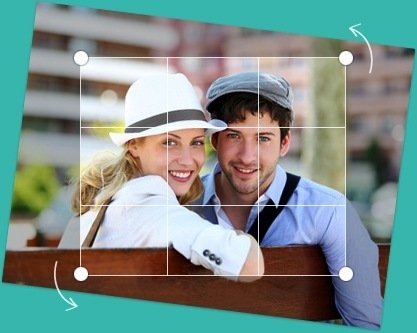 To crop an image, just click and drag a corner or a side of a crop frame, and you are done! There is a number of pre-set crop ratios and a free crop. When saving an edited photo you can choose its format (.jpg or .png), quality and size. Modify image brightness and contrast, adjust shadows and highlights with the ‘Exposure’ tool. 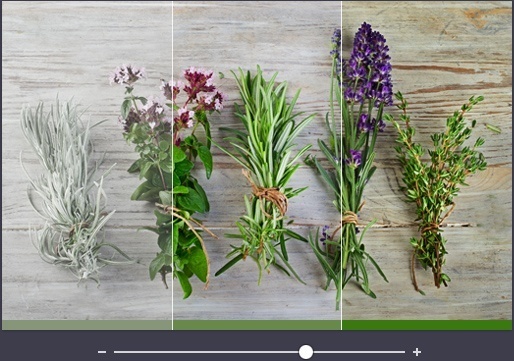 Enhance colors in your picture changing its hue, saturation and optimizing color temperature. Use the ‘Sharpness’ tool to control how sharp your image is. 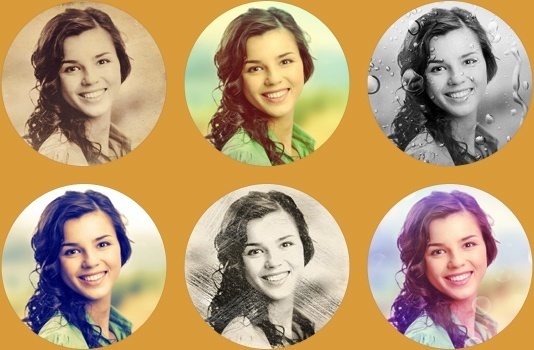 Image adjustment tools work smoothly with all changes being instantly applied to your photo. Unleash your creativity: add funny stickers, stylish frames and custom text captions. 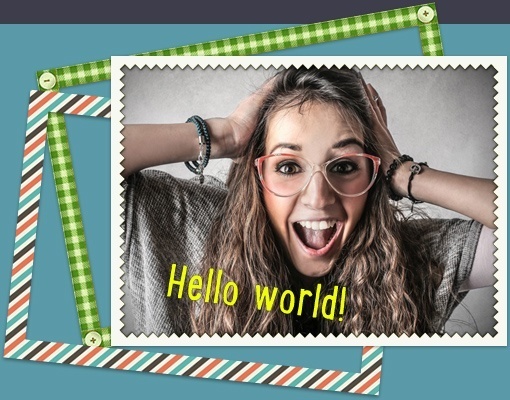 There are 300+ various themed stickers, 30+ customizable frames and borders (you can make them thicker or thinner), and 20 fancy fonts for text captions. Black and white, sepia, vignetting and pixelation — these awesome photo filters and effects are irreplaceable part of modern photo editing. Be in trend and add a touch of vintage to your pictures, turn real-life scenes into miniatures with tilt-shift effect or apply selective focus effect that places one area of an image in sharp focus while blurring the rest. Seu navegador (%number%) está desatualizado. Ele possui falhas de segurança e pode apresentar problemas para exibir este e outros websites.